Cats Protection has been helping cats for more than 90 years. It is the largest feline charity in the UK, aiding over 140,000 cats and kittens every year, and is made up of approximately 265 self-funding voluntary groups across the country. The Horsham and District branch is one of these. The Horsham and District Cats Protection branch was founded in 2000 and is entirely volunteer-run. We cover the postcodes RH12, RH13 and RH14, which span from Rusper down to Partridge Green and across to Kirdford encompassing Horsham, Billingshurst and Southwater. We're excited to announce that our brand-new Horsham Cats Protection charity shop will officially be opening in Fitzalan Road, Roffey, on Saturday the 16th of June - expect fanfare, freebies, and visits from our ever-popular mascots! Are you receivng a means-tested benefit, on a low income, a pensioner or a full-time student? If you fall into one of the above categories and live in the RH12, RH13 or RH14 postcode areas, we can help you neuter your cat for only £10 - click here for more information. Check out our news section for the latest about what's going on at the branch and our events page for what's coming up next! Every penny we raise goes directly to the cats in our care, paying for the upkeep of our rescue pens as well as vet bills, which can be very expensive. Each cat we rescue or have given to us is taken to the vet for a health check, blood test, inoculations, microchipping and neutering where necessary, which costs us an average £150 per cat. All cats, including ferals, are also treated for fleas, ear mites and worms. 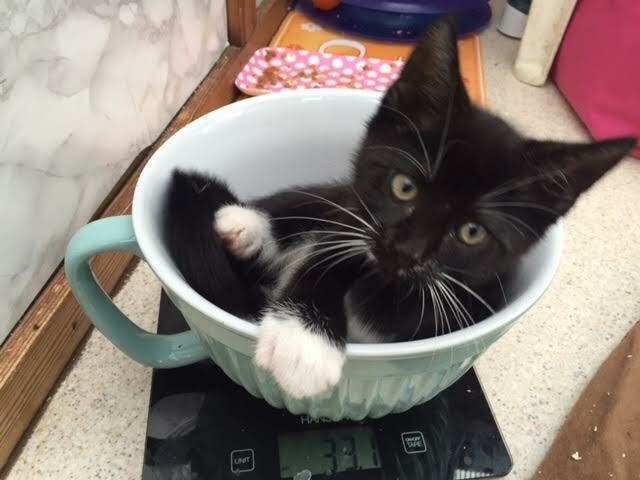 We do receive donations from people who hand in their cats in to be rehomed but this only goes so far, and so we rely on the kindness of our fellow cat lovers to fund our charity. Please like Cats Protection Horsham and District on Facebook and follow @CPHorsham on Twitter!